Taiwan's representative to the Philippines Raymond Wang will return to Manila to resume his duties as ties between the two countries have returned to normal, according to a diplomatic source. 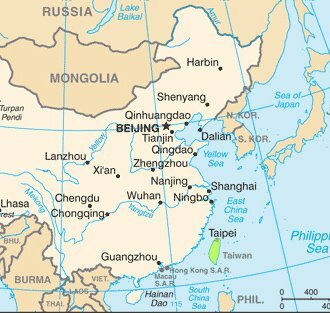 The Philippines' de facto ambassador to Taiwan, Antonio Basilio, is also scheduled to return to Taipei on Monday [12 August 2013], the Ministry of Foreign Affairs said. Bilateral ties had been slatemated since May 9,  when Philippine Coast Guard personnel attacked a Taiwanese fishing boat in waters where the two countries' exclusive economic zones overlap, resulting in the death of Taiwanese fisherman Hung Shih-cheng. But relations thawed recently when Manila responded positively to four demands made by Taiwan soon after the incident. Taiwan insisted that Manila formally apologize for the shooting, punish those responsible, compensate the victim's family and hold bilateral fishery talks to prevent the occurrence of similar incidents in the future. When the Philippines initially balked at the demands, Taiwan imposed several punitive measures on May 15 that included recalling Wang from Manila and asking Basilio to return home to help deal with the incident. Taipei also froze the hiring of Filipino workers in Taiwan and issued a travel alert to discourage Taiwanese nationals from visiting the Philippines. Those sanctions were lifted on Aug. 8 after the demands were satisfied. On Aug. 7, the Philippine National Bureau of Investigation (NBI) issued a report on the incident in which it recommended that eight Philippine Coast Guard officers involved in the shooting be indicted on homicide charges. Then, a day later, Amadeo Perez Jr., chairman of the Manila Economic and Cultural Office (MECO), visited the victim's family in Pingtung County to deliver a letter of apology on behalf of Philippine President Benigno Aquino III. MECO is the Philippine institution responsible for handling relations with Taiwan in the absence of diplomatic ties. The Philippine government also reached an agreement with the family on a compensation package and Taiwan and the Philippines are expected to hold a second preparatory meeting for formal fishery talks in Taipei soon, the Foreign Ministry said Aug. 8. Issues such as sharing maritime resources and establishing guidelines in disputed waters are expected to be on the next meeting's agenda. In a preparatory meeting on June 14, the two sides reached an initial consensus on several issues, including to not use force or violence when patrolling fishing grounds and to establish a mechanism to inform each other in the event of fishery incidents.